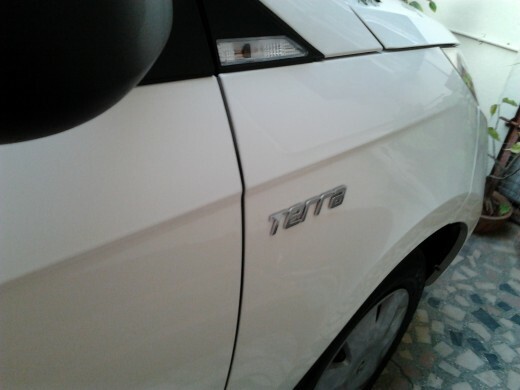 Having owned several petrol cars of different makes earlier, I decided to try a Tata car this time. 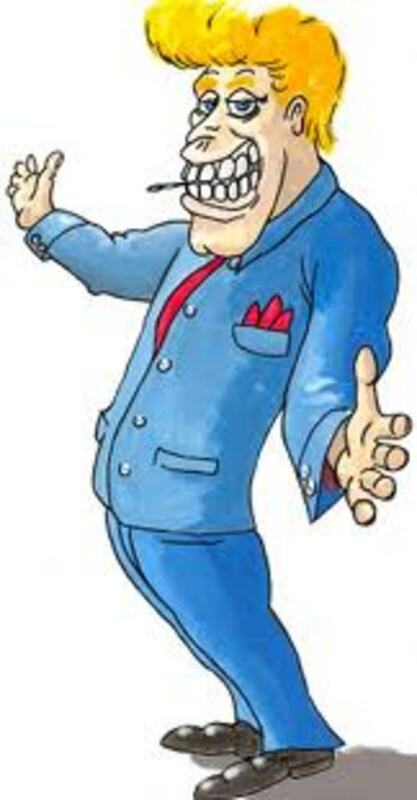 I had hitherto shyed away from automobiles by Tata Motors, as they are fitted with a diesel engine that makes more noise, and the life of the engine is only 5 years. But, seeing the soaring petrol prices, and being ready to trade in an old car, I decided to look at all the diesel cars available in the Indian market. And told myself that I would not keep a car beyond 5 years anyway. In the small car category, I found the Indica Vista in many variants and a lot more fuel efficient. 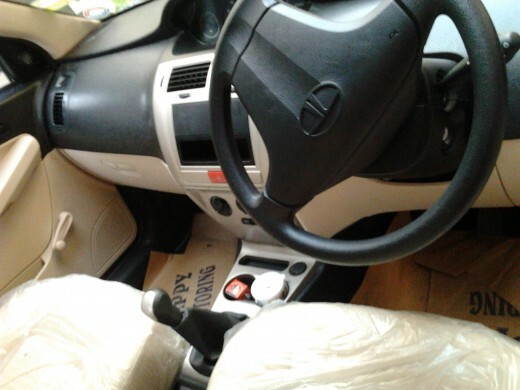 Further, since we are a small family, we can use this same car for short excursions. But, it was confusing to settle on the right variant of Indica Vista. The mere mention of Tata Indica conjures up pictures of city and call center taxis in the Indian metros and I was no exception. I did not even want to see the new Vista range of sedans. But, having seen a couple of these variants on the road, I decided to head to the nearest Tata showroom. The Tata Indica Vista is available in the following variants-Terra, Aqua, Aura and Safire. After debating on the features, performance and comfort factors, and the overall looks, we decided to buy a Terra Quadrajet BS IV. A 1248 cc 4-cylinder Fiat diesel engine with a torque190 Nm @ 1750 rpm and power 75 PS @ 4000 rpm. In today's drive, we noticed the turbo open up every time we hit 40 km/hr speed. Beautiful pickup. Comfortable seating for 5, yes, even plenty of leg room. That means we can take our family dog too. Seat-belts for all 5 provided. Good boot space, better than most cars in this category. Stylish good looks-definitely not like a taxi. Fuel economy-City mileage is said to be 15.3 km/l while highway mileage is said to be 20.3 km/l. Got to test this on the highway tomorrow. Will give an update. Fuel tank capacity is 37 liters. Good ground clearance-165 mm-definitely did not hit the speed breakers even when 3 of us sat at the rear. 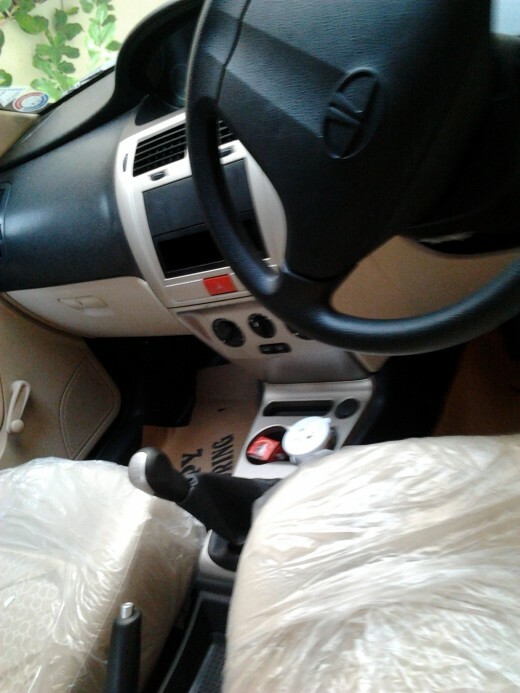 Power steering and Air conditioner comes with the car, as also same color bumpers and tubeless tires. The best thing I liked about this car is that it is slightly higher than most cars of this category and so, gives you a feeling of riding in an SUV, the comfort level, particularly the fixed lumbar support to the front seats. The interiors are done up in a dual color scheme of gray for the dashboard and beige for the floor and seats. Altogether pleasing exterior and interior, great value for money(@ around 5 lakhs in Indian rupees), fuel efficient(diesel) and optimum comfort. Excellent for a small family for use within the city and weekend trips. Parking is never a problem either since it does not take up too much space. Certainly easy to maneuver. You also have a choice of colors-porcelain white, mint white, gala red, solar orange, marine silver, arctic silver, infinity black, cavern grey. Well, my family made the choice and we bought ourselves a porcelain white Tata Indica Vista Terra Quadrajet BS IV today. We are off on a short trip out of the city tomorrow and will give you an update on the performance on highways. 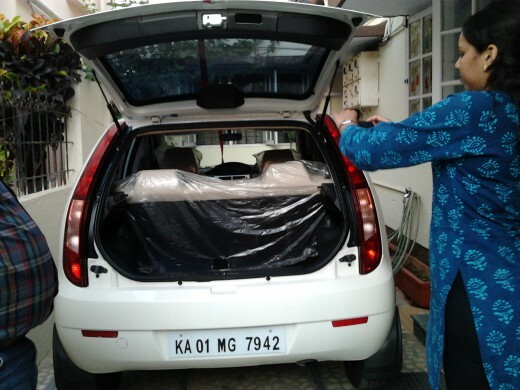 Buying new cars always meant a short trip out of the city of Bangalore, and our family always looks forward to these day trips. 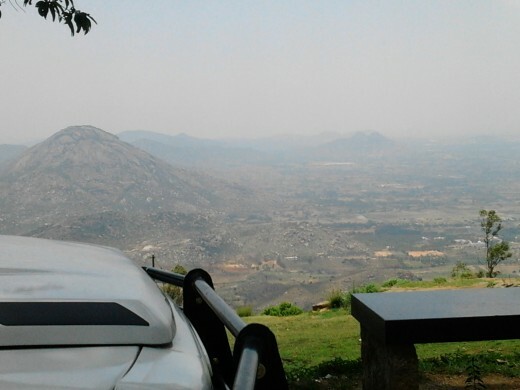 Most often, we choose the Nandi Hills for the long drive on the highway, past the International airport. Needless to say, we found several new cars being driven the same length. Among them a Ford Figo and a Toyota Innova. 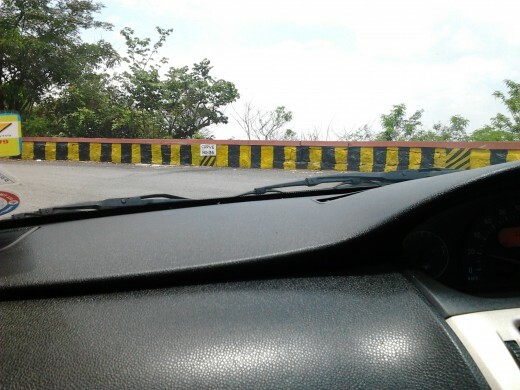 The Tata Indica Vista Terra BSIV which we bought is extremely smooth on the highways. Excellent pickup and top speeds can be achieved in a matter of seconds with ease. The switch to turbo is smooth. The ride up the Nandi hills was a little slow since it was the first time this car was climbing, but after a point it was wonderful to drive. The ride downhill was also beautiful. The diesel engine did not lose its power when the air-conditioner was switched on. This Tata car has smoother gear shifts when compared to previous Tata cars. For the family of 5 inside, it was a comfortable drive with plenty of legroom for all. While driving back to the city, it was noticed that the speed breakers did not hit the chassis because of the optimum ground clearance. 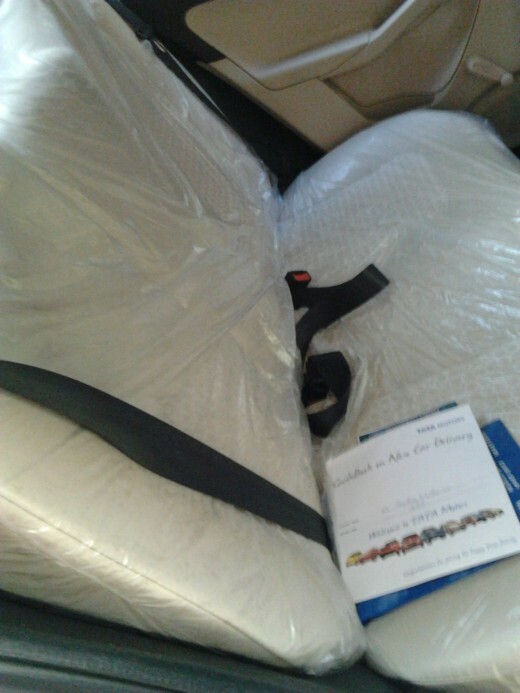 The additional safety features of engine immobilization and child lock add to the value of the car. Overall an excellent car for work or pleasure, can be used as a family car, as there is plenty of boot space. Long drives can be comfortable since the seats are ergonomically designed. 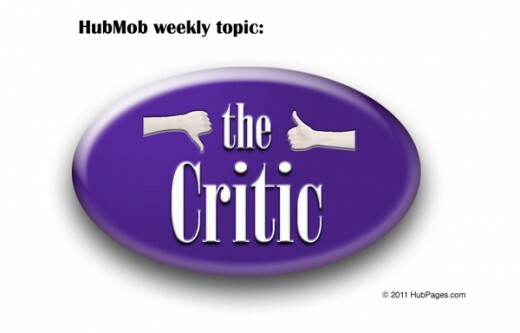 On the whole, true value for money for the features being offered and fuel efficiency. Great review, will definitely help in making a choice of whether to buy or not to buy this car. glad this review helped make your decision. this car is available in the Indian market. When will this car be available in the state. 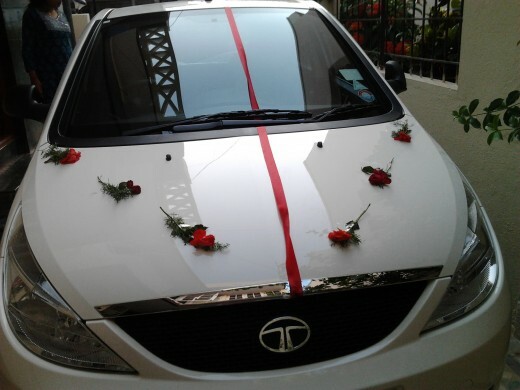 Woww Tata is nice car..